Perennial. Zone 1. Caryophyllaceae. Russia, Northern Asia. A.k.a., according to the Royal Horticultural Society, an astounding number of common names, among them: Cross of Jerusalem, Fireball, Flower of Bristow, Flower of Constantinople, Gardener’s Delight, Great Candlestick, Knight’s Cross, London Pride, None-Such, Red Robin, Scarlet Lightning,Tears of Christ. If I think back to the gardens of my childhood, during the late 1960s and early 1970s, Maltese Cross is ever-present. My mother grew it and viewed it with great fondness, as did all of her gardening friends. 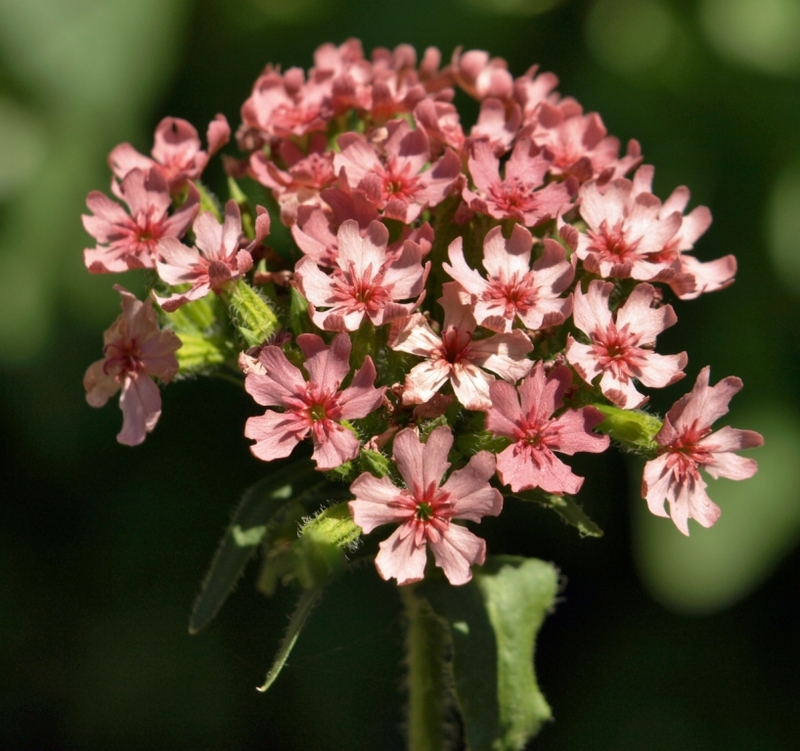 It flourished in its scarlet glory in remote ranch gardens on the Chilcotin plateau as enthusiastically as it did in the town gardens we frequently visited in Williams Lake and 100 Mile House. I sometimes muse on what a recreated Cariboo heritage garden would contain. Always a lilac bush, of course, and a massive clump of rhubarb. Red currants drooping with their luminescent clusters, promises of sweet jelly and mouth-puckering cordial to come. Raspberries, in generous wire-supported rows. Golden Glow lolling brightly by the fence, tied back with a length of sisal baler twine. In spring, a profusion of grape hyacinths, Johnny-Jump-Ups, striped ‘Pickwick’ crocuses, under a pinker-than-pink Flowering Almond bush. Red and yellow tulips. ‘Persian Yellow’ roses, blooming for a brief but wonderful time in June. Red-and-black oriental poppies, royal purple Cluster Bellflower, those ubiquitous purple and white bearded iris smelling strongly of grape Kool-Aid to my childish nose, identified in later years as the venerable variety ‘Wabash’. Double-flowered Achillea ptarmica – I can’t remember a common name, though it must have had one. Did Mom call this one ‘Baby’s Breath’? I think she might have, though she had “real” baby’s breath, too – Gypsophila paniculata. Lanky delphiniums in shades of the sky. A colony of tall, pale purple phlox, alongside a fragrant yellow daylily. Columbines everywhere. Canterbury Bells and Sweet Williams. Orange tiger lilies in late summer. Cerise Rose Campion in the most unexpected places, and, inevitably, a sturdy clump of quite ridiculously red Maltese Cross. So – here are the basics regarding Lychnis chalcedonica. It forms strong clumps to 2 feet or taller. 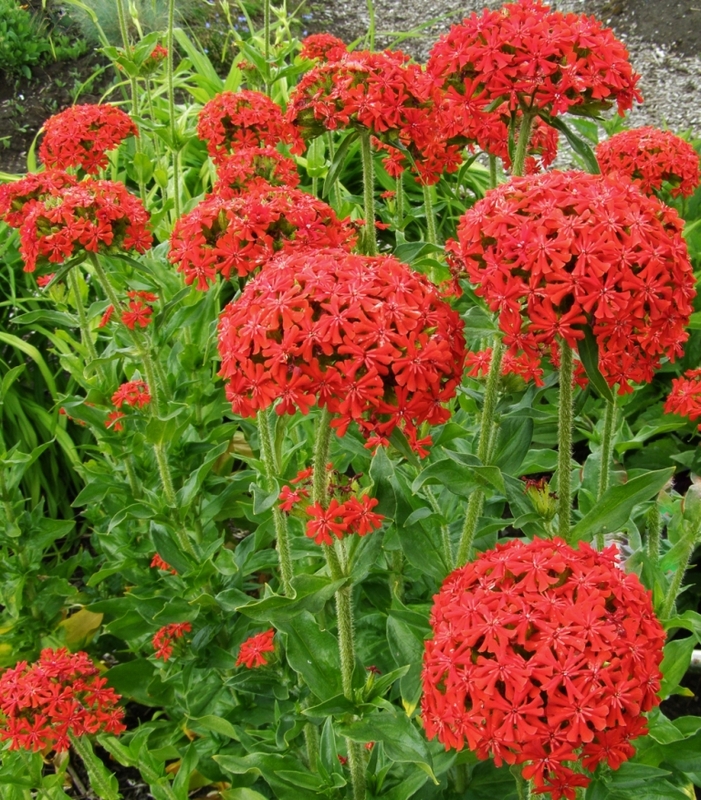 The sturdy stems topped by domed heads of brilliant scarlet, cross-like (though 5-petalled) flowers for a reasonably long period in mid-summer, 3 to 4 weeks. It reliably reblooms if cut back. 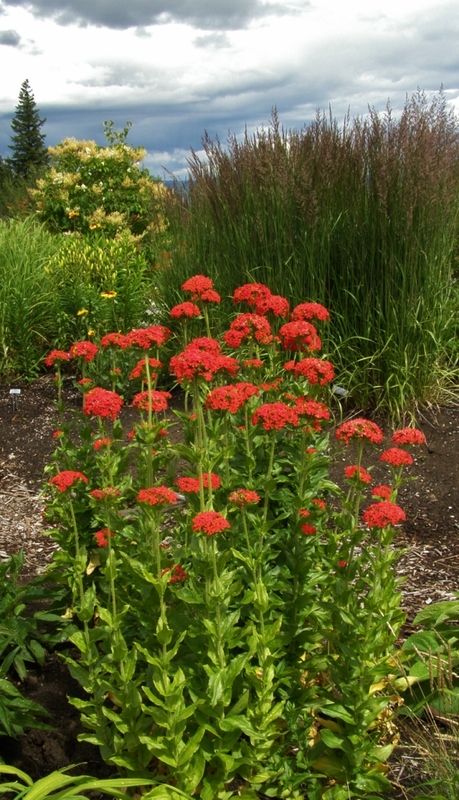 Maltese Cross prefers full sun, good soil, and average amounts of moisture. Mature clumps may be carefully divided, but so easy from seed that I never bother with division. Not at all invasive; well behaved in all its habits. You may wish to unobtrusively stake it, as it can occasionally birdsnest with summer thundershowers. But it is a truly sturdy thing, and requires minimal fussing. Garden legend has it that this was one of those plants brought back to England from the Holy Land by returning Crusaders, but this is apparently not the case. More likely it came via regular trade routes from European travellers; the species originated in Russian and northern Chinese forests and steppes, and still can be found growing in the wild. Its first mention in garden literature predates the 1590s. 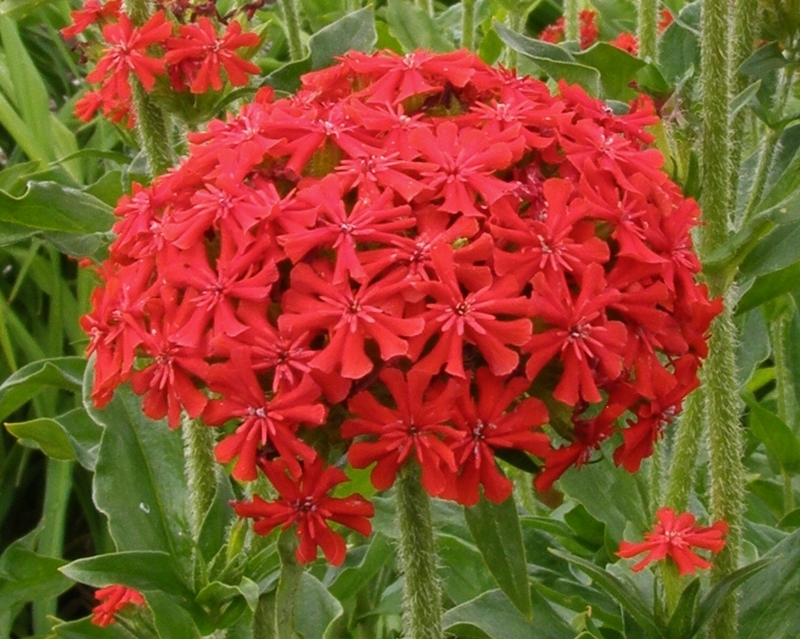 There are a number of variations of Lychnis chalcedonica which you may find interesting. Last heard of in the 1920s and possibly lost forever – though one can hope they exist in some isolated cottage garden, waiting for their rediscovery – are double scarlet (first written about in 1629) and double white (1772) forms, but we do have some pretty singles to console ourselves with. A blushing pink – ‘Morgenrote’ a.k.a. ‘Morning Red’, sometimes sold as ‘Dusky Salmon’ – and a pristine white – ‘Raureif’ a.k.a. ‘Hoarfrost’, sometimes sold as ‘Snowbird’ – are still in the seed trade, and just a year or so ago I saw mention of a more compact scarlet variety, ‘Burning Love’, reported to be a compact 12 to 18 inches tall – perhaps easier to tuck into a small suburban planting?